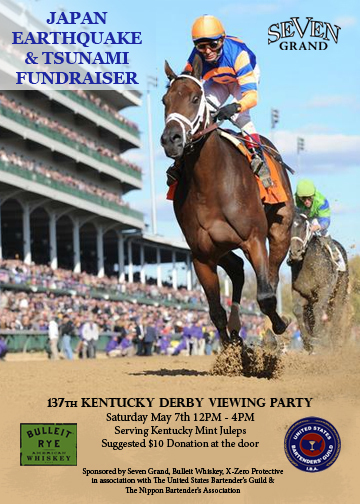 On Saturday, May 7th, Seven Grand, Bulleit Distilling and X-Zero Protective, in association with the USBGLA and the Nippon Bartenders Association, present a special Kentucky Derby Viewing Party. The event is a fundraiser for the American Red Cross and its ongoing efforts in response to the Great East Japan Earthquake and Tsunami. 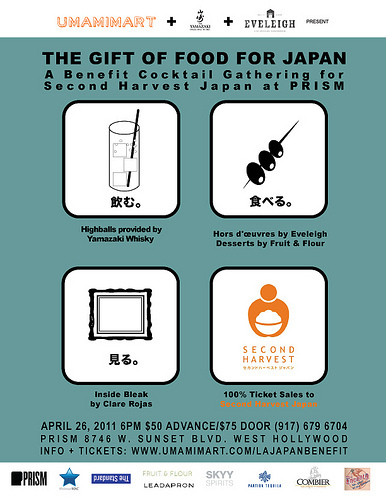 On Tuesday, April 26th, Umamimart, Yamazaki Whisky and Eveleigh present The Gift of Food for Japan, a benefit for the Tokyo-based Second Harvest Japan. 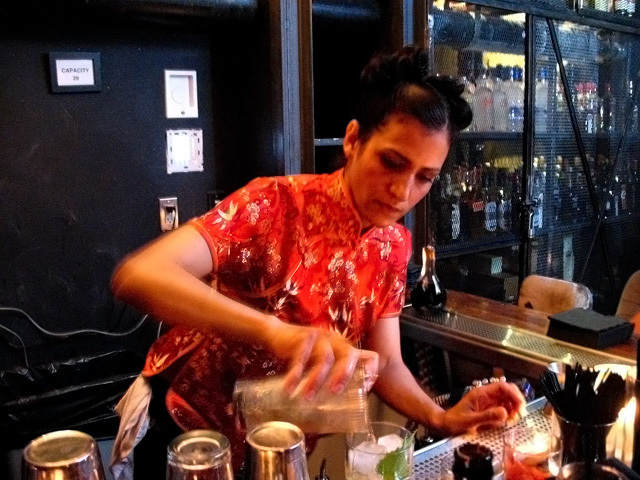 The event starts with a rooftop cocktail party at PRISM gallery, then moves next door to Eveleigh for a back patio reception.